Join us this academic year at our AMAzing events that range from Networking opportunities to Speaker series event to Community outreach. 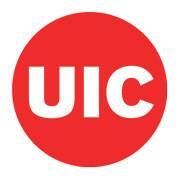 These events provide a great opportunity to our AMA members to get more involved with the UIC Business Community. You will be able to know the wonderful members of this organization while expanding your knowledge of various professional fields. Join us for our Adobe Lightroom to learn how to edit photos and deliver professional visual content. Angela is going to share with us her career experience as well as different career tips. Join us for our last meeting of the academic year 2018-2019 to say goodbye to our AMA UIC graduates and celebrate the achievement of your organization.